The right commercial laminating machine could make all the difference when it comes to producing a high-quality product, accurately and quickly. 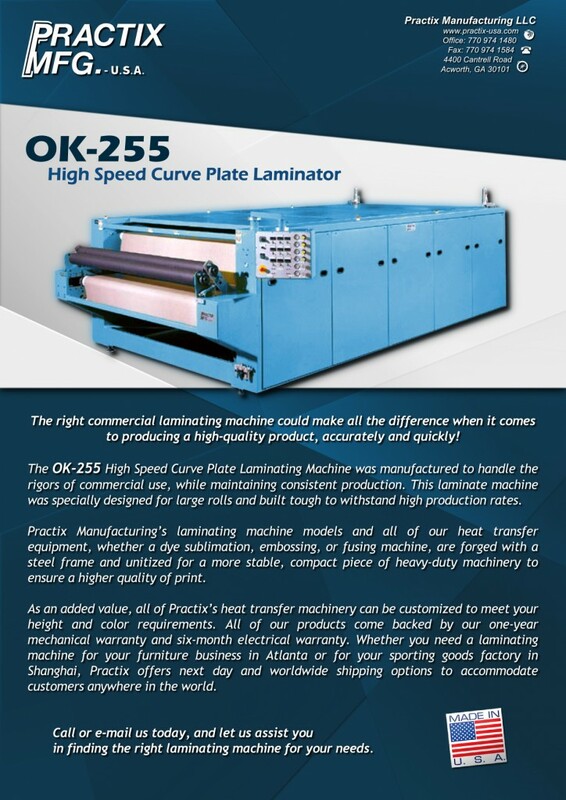 The OK-255 High Speed Curve Plate Laminating Machine was manufactured to handle the rigors of commercial use, while maintaining consistent production. 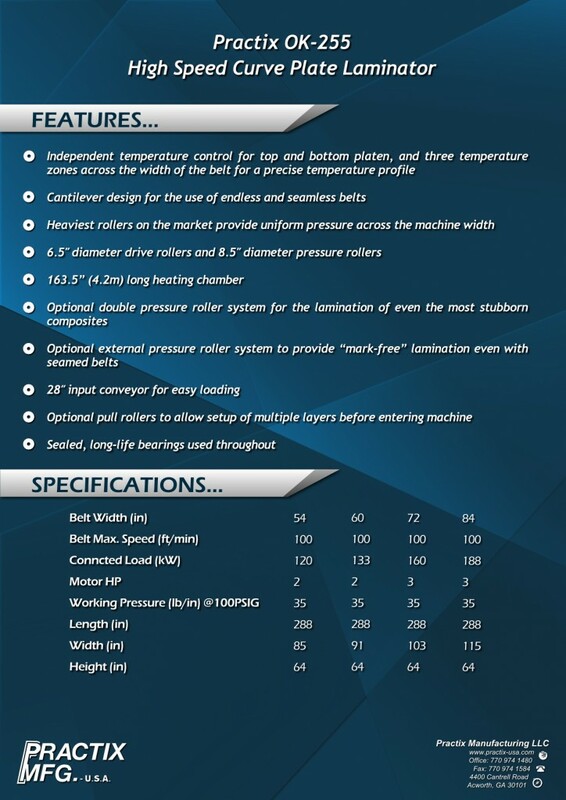 This laminate machine was specially designed for large rolls and built tough to withstand high production rates. Practix Manufacturing’s laminating machine models and all of our heat transfer equipment, whether a dye sublimation, embossing, or fusing machine, are forged with a steel frame and unitized for a more stable, compact piece of heavy-duty machinery to ensure a higher quality of print.